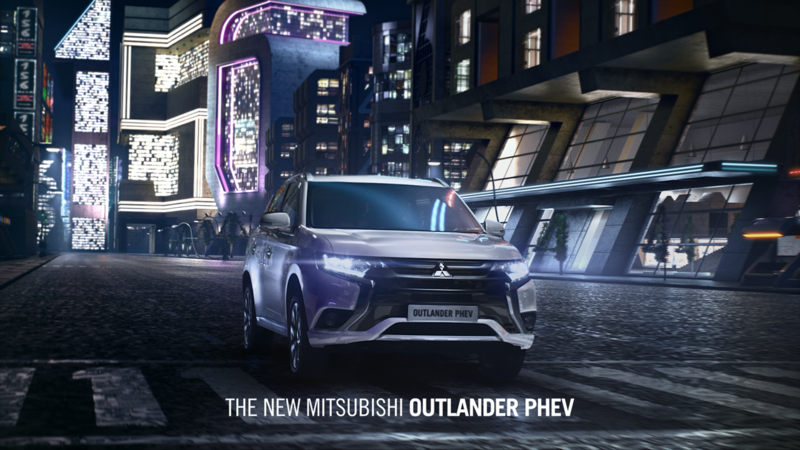 The Studio were please to have worked with RSA director Brett Foraker on his recent commercial for the Mitsubishi Outlander PHEV ‘The numbers never looked this good’ for ad agency ‘Golley Slater Cardiff’. 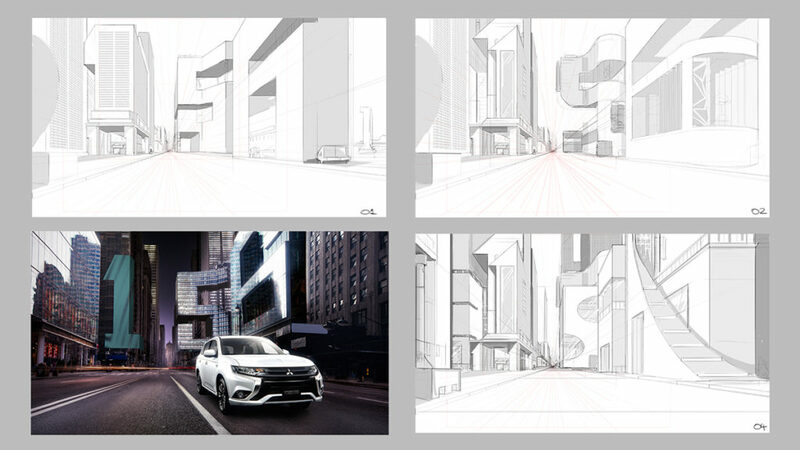 The 2016 Mitsubishi Outlander PHEV campaign was inspired by the creative approach for the original launch in 2014. 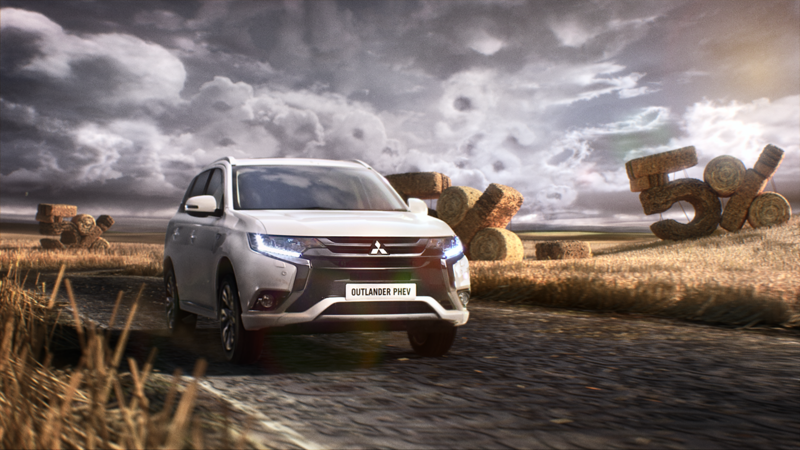 The Mitsubishi Outlander PHEV was the world’s first 4WD Plug-in Hybrid SUV. It produced a remarkable 148mpg, becoming the UK’s number one selling hybrid vehicle. 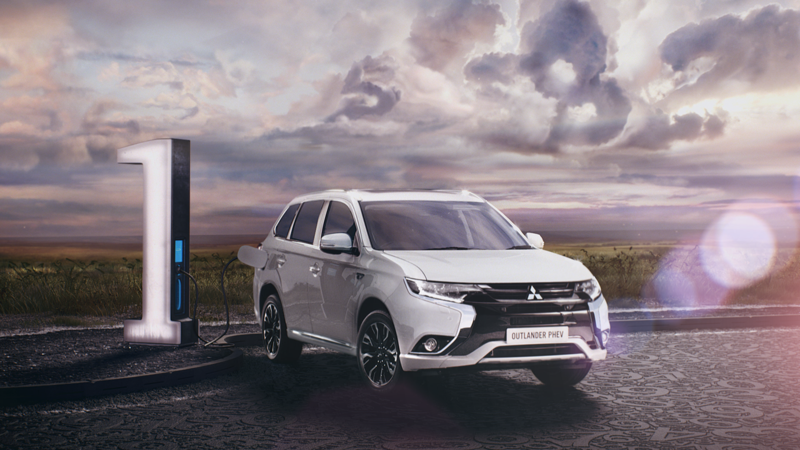 Not only does the new 2016 Mitsubishi Outlander PHEV have even more impressive numbers at its heart, it has also undergone a complete redesign with stunning exterior styling and a premium interior finish. The new ad, directed by ex-Channel 4 creative director Brett Foraker, turns numeracy into artistry. Each scene features a palette of numbers subtlety woven into the landscape, ensuring that every repeat viewing reveals a previously unspotted detail. Like the new 2016 Mitsubishi Outlander PHEV, the campaign is a mix of hard numbers and wonderfully soft touches. When the Studio@Smoke&Mirrors were first approached and shown the initial storyboards the team were really excited about the possibilities and worked out various post route options that could be used to achieve numbers within the environment. 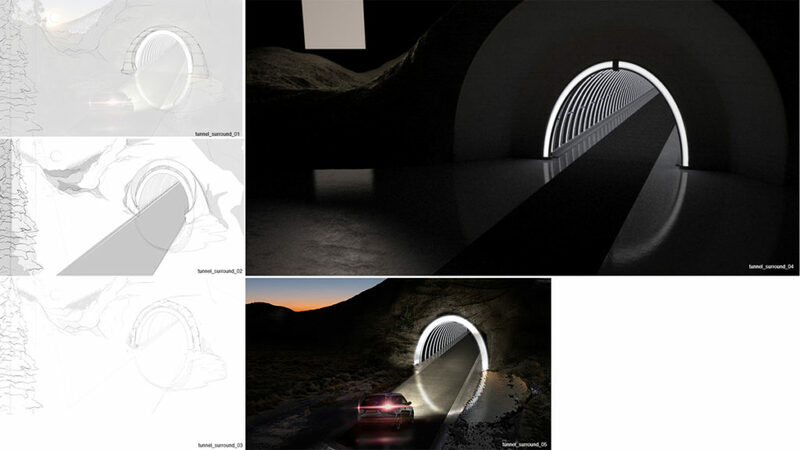 After a series of R&D tests and further pre-production with Foraker and the Agency, a final route was agreed. 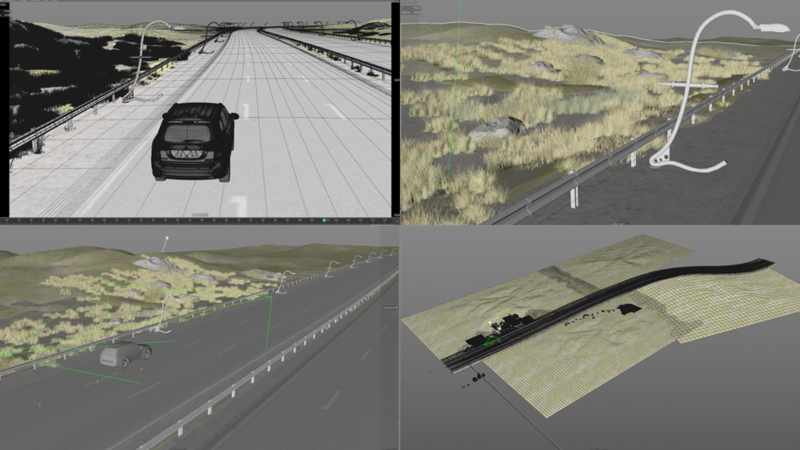 Further style frames were then created prior to the shoot as well as full CG pre-visualisation of the car, rigs and studio environment to work out as much pre-camera data before the shoot days. On set shoot supervision was provided by the Studio using a combination of 2D and 3D artists alongside the Studio’s creative director. The usual reference and data was collected on set and processed back to the studio so the artists could commence work immediately. Laser cut number tarmac had to be produced for the set which the CG team provided exact data for. Proxy tree trunks were built out of ply on a huge rig to mimic light play on the car as well as a rigs for the tunnel, again to provide natural light play on the body of the car. This provided indispensable lighting reference for the CG team to replicate later in post. On set editing was a prerequisite due to the tight schedule, this allowed agency and the director insight into the potential shots and edits allowing the CG team to start prepping scenes almost immediately. Post production had to be run incredibly smoothly as practically every shot required 3D tracking, match move of the car, roto, clean up and beauty work. Most of the shots look wise had been signed off prior to the shoot. The Studio provided high res style frames for most of the environments which allowed sympathetic lighting to be created on the shoot days. Creatively there was a lot of detailing being processed back and forth, from how the final number clouds should be formed, to what numbers should appear on top of the tall grass through to wether the paving stones should be number 8’s or 1’s. If you were to freeze on each shot and explore it you would find a whole new level of numbers hiding in there that the team has created. 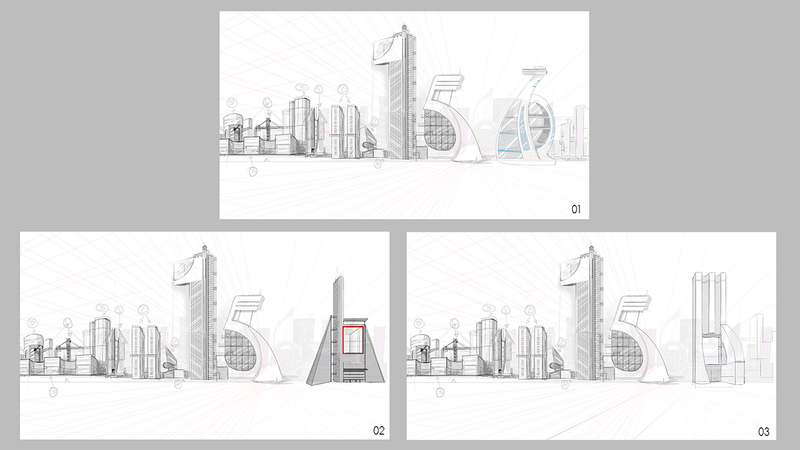 Studio Creative director Dan Andrew spent a lot of time liaising with the agency and director so that this level of numeric detail was achieved. This was the world that Brett and the agency wanted to create on all levels hence the line ‘Numbers never looked this good’. Challenges for the CG and comp department’s were to create this world from numbers that almost looked believable but where the viewer would instantly see the numerical messages formed within it. 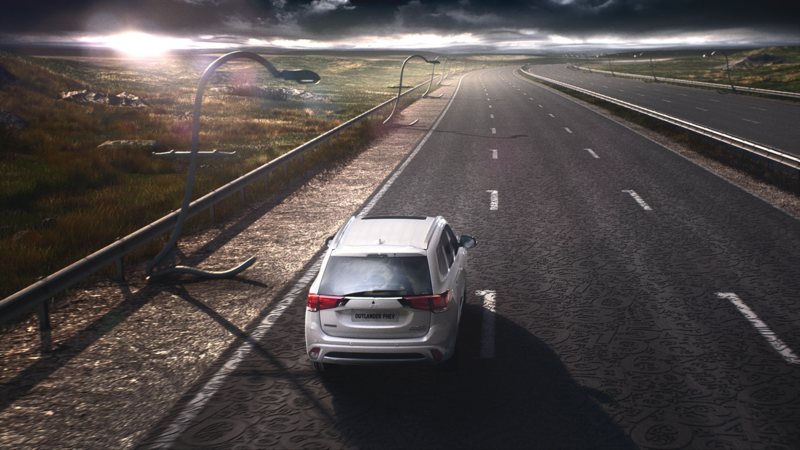 This would inspire the viewer to look for more whilst enjoying the journey through this surreal magical numerical landscape, importantly taking in the beauty of the new model ‘Mitsubishi Outlander PHEV as it passes through each scene. 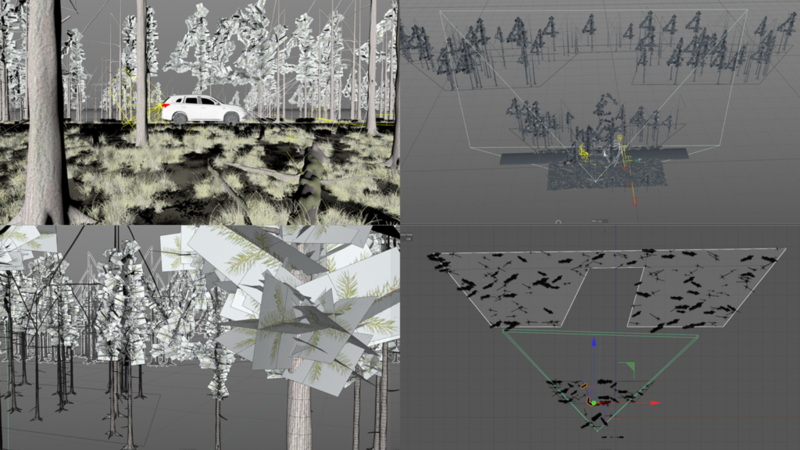 I personally created the previz, workign the exact moves of the rig, with its constraints. I also worked on two of the shots (shot 1 and 4), while managing the whole team. We extensively used Cinema 4D and Vray with its hair module to create the grass and the wheat. This proved to be the perfect choice: with full GI, flicker free, every frame was rendering in about 45-55 minutes, compared to the over 2 hours with the standard engine. The Nuke and matte painting team led by senior VFX artist Guillaume Weiss and CD Dan Andrew composited 9 shots in-conjunction with Smoke & Mirrors flame department. The process worked seamlessly across all departments allowing shared timelines to be reviewed daily either through Flame or Nuke Studio, with dailies being available 24/7 for the director or agency. Another challenge the comp team encountered was to ensure the directors vision was met in terms of the time of day for each shot. The idea was to have the journey of the car progressing through the entire spot from early morning through to late night. This meant a certain amount of time was spent rotoscoping individual parts of the car to subtlety change the lighting from the studio set-up to meet the changing environments created in CG. 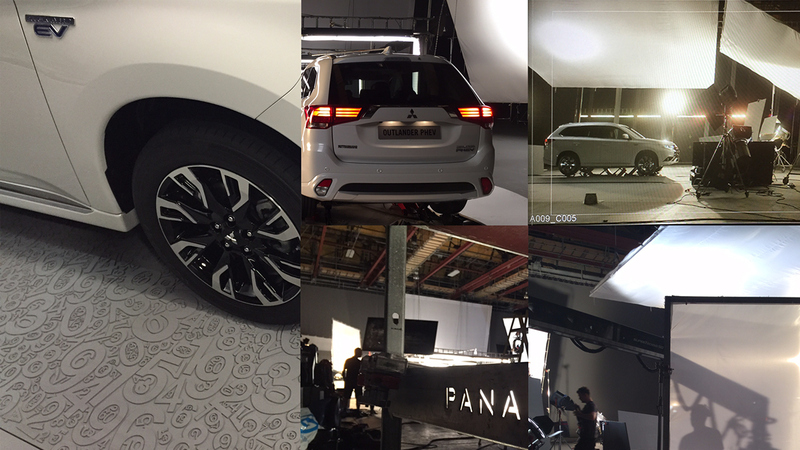 The car was lit as sympathetically as possible on the shoot days guided by the style frames, however further post was always going to be needed to achieve the final look. Some reflections in the car had to cleaned up by the beauty team to allow CG reflections to be reapplied to ensure continuity within the shots. Extensive matte painting had to be created for the skies with clouds forming numbers changing from morning till night. Cloud R&D and final skies were created by the The Studio’s matte painting team led by Charlie Lougheed and Christian Tailor.